Franklin Dehousse, a Belgian professor of EU law and a judge at the Court of Justice of the European Union (CJEU) until late 2016, says that putting the court in charge of Brexit’s implementation “is for the UK worse than the status quo and looks a lot like judicial imperialism”. 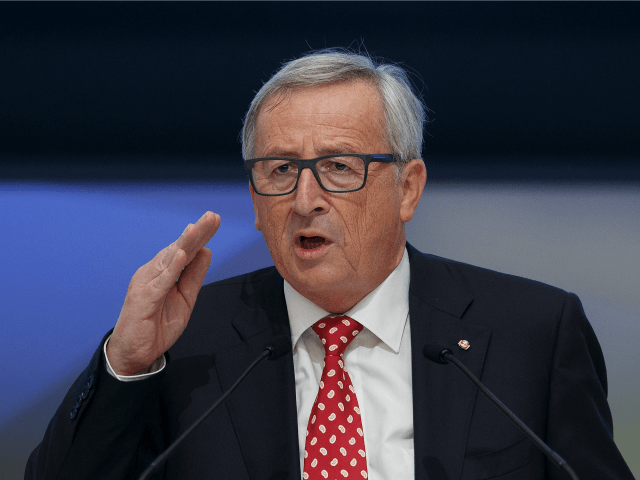 The professor’s intervention comes as Catherine Day, a key ally of European Commission President Jean-Claude Juncker, boasted that the bloc expects it “will call most of the shots” in the negotiations. Incredibly, the Labour Party’s Shadow Brexit secretary, Keir Starmer, has agreed that EU nationals should be able to appeal to some “external” authority above the British courts to enforce their rights, which he believes should be superior to those of British nationals. Starmer argues that EU nationals should not be subjected to any financial thresholds or language requirements when bringing foreign spouses into the country, for example. However, Britons are required to earn a minimum of £18,600 before they can do so, in order to ensure it will not fall on taxpayers to support their partners, who must also pass an English test. Professor Dehousse has previously argued that such attempts to turn EU nationals into a “super-privileged caste” in Brexit Britain are “hard to justify”. The “colonial” attitude of the EU’s representatives has raised the hackles of dedicated Brexit campaigners, such as Jacob Rees-Mogg MP, who have always maintained that a mixture of new powers over Britain’s trade policy, tax regime, marine resources, and so on will allow the country to thrive even without a formal agreement with the bloc. “The idea that a foreign court should rule on the rights of people living here is akin to the outdated colonial approach taken towards China in the unequal treaties of the 19th century,” the Somerset MP declared. Leaving the EU without a deal would see Britain trading with the bloc under World Trade Organization (WTO) rules, meaning tariffs of roughly £5.2 billion for exporters. However, tariffs on EU imports would raise around £12.9 billion, and exporters – principally carmakers and food producers – could be amply compensated for their losses through a combination of investments, subsidies, and economy-wide tax cuts without breaking WTO rules.